La petite Jacquerie in Tillard offers a window into life of the French Renaissance. the truly beautiful meaning of life was embodied in rural simplicity. Maxime embodies the French joie de vivre and her genuine passion for art and authenticity is resonated in the detail of her romantic abode that features two unique rooms. A stylist, interior decorator and founder of an art and craft association, Maxime and her enchanting homestead reflect the work of the artists she has known and loved. Whether relaxing in the garden or roaming the rolling hills, La petite Jacquerie, chambre d’hôtes, creates a unique realm that allows guests to reconnect with themselves, their loved ones and the more important things in life. Thanks to Dean, Canadian journalist ( one of my first host) who wrote this wonderful article.
" Maxime is a wonderful host and her home is super cute. Our breakfast was delicious with Maxime's homemade delicacies. She recommended a first class restaurant 7 km away." 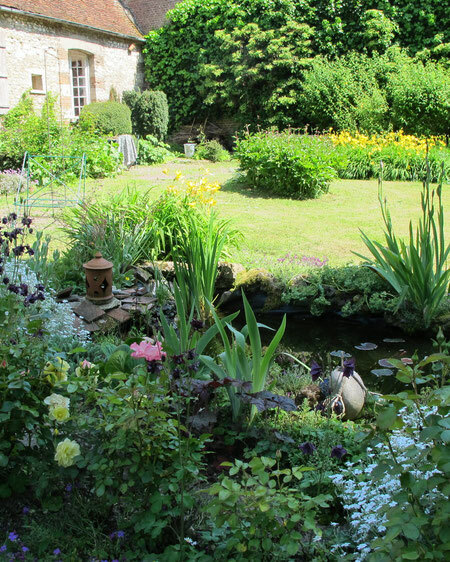 "We love our peaceful sleep at La petite Jacquerie, a garden paradise where you can completely "un-stress in a house full of atmosphere that dates back several hundred years! The hot shower was great! Maxime is a charming host. we loved exchanging our stories and look forward to continuing where we left off." " Maxime was a knowledgeable and most gracious host. Her abode is truly a marvel with its rich French history, offering a peak back in time while still featuring all the comforts of modern travel. A charming retreat with the most amazing and lovingly manicured garden where, weather permitting, she serves the breakfast. 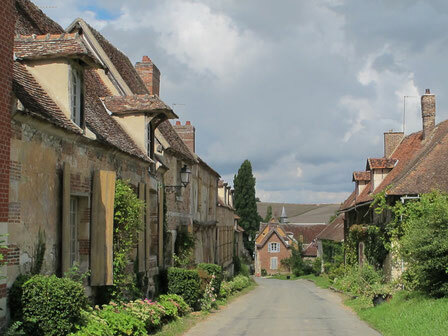 L'Oise is one of France's best kept secrets and Maxime's place is less than an hour away from Paris, offering an opportunity to visit the region in the most wonderful way."